If you are looking for information on the Village Coffee franchise business opportunity, Village Coffee shop franchises or Village Coffee house franchising , then you have come to the right place. 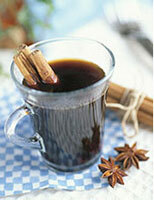 "Village Coffee is founded on a passion for coffee. We use the world's highest quality coffee beans, expertly roasted and diligently brewed to create a variety of gourmet espressos and coffee blends. But Village Coffee is just as much about community as it is about coffee. The inspiration for our name was, in part, the Village Square that used to be the central gathering place in most small towns across America. The Village Square was a place where neighbors would gather to socialize, exchange ideas, debate current issues or just be together. And while few towns still have lively village squares, Village Coffee shops are filling the void, providing a warm friendly, gathering spot where neighbors, friends and family can enjoy a warm welcome, hot drinks, and pleasant company. Just as we are dedicated to building a community of the best licensees in the country, we are looking for owners who are dedicated to both operational excellence and building a strong community of employees, customers and neighbors. While our Coffee is in our name, our business starts with "Village." Village Coffee is all about changing the world, one cup at a time." 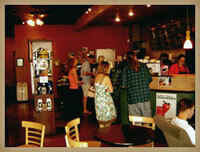 Village Coffee offers a professional look with a "family feel." We use the Automatic Nuova Simonelli Espresso Machine (Italian made equipment) which requires a trained barista; for we grind, dose, and tamp each drink. We believe if our customers are going to pay $2 to $4 for a drink, they would like to see us make it, not just push a button. Another Village Coffee difference is we believe in working hard but also getting the best products for the best price. With Village Coffee's "Store Package" and "License Agreement" you will have the best of both worlds where savings are concerned. Once you read our pricing structure and compare the value you get with Village Coffee compared to other companies, you will see we put our money where our mouth is. There is a big difference in "Promising" and delivering. Ask any of our customers and they will tell you we go the extra mile, "WE DELIVER". Just as we are dedicated to building a community of the best licensees in the country, we are looking for owners who are dedicated to both operational excellence and building a strong community of employees, customers and neighbors. While our Coffee is in our name, our business starts with "Village." Village Coffee is all about changing the world, one cup at a time." What makes Village Coffee a hot opportunity? Our stores bring local flavor to the environment they are developed in. We have a corporate look, We are professionally operated, but we have a "family feel." 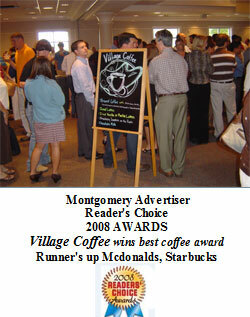 Check out the Village Coffee difference. This is unheard of in the coffee industry. You receive benefits off our buying power. Also proprietary techniques on serving 800 drinks in 2 hours.